A singing resort cashier from Bohol amazed netizens with her voice as she belts out Lani Misalucha's 'Bukas Nalang Kita Mamahalin' effortlessly. The talented lady in the YouTube video is 25-year-old Rachel Bondalo, who hails from Panglao, Bohol and is currently working at Bohol Divers Resort. She got noticed online after some Facebook community pages frequented by overseas Filipino workers (OFWs) shared one of her videos. In an exclusive interview via Facebook chat, Rachel admitted that she is a certified NBSB, or "no boyfriend since birth," which is the reason why she spends most of her time at work and with her family. We found out that she occasionally performs at parties and gatherings at the resort when invited. Besides singing in the videoke with her loved ones, she also likes to cook. 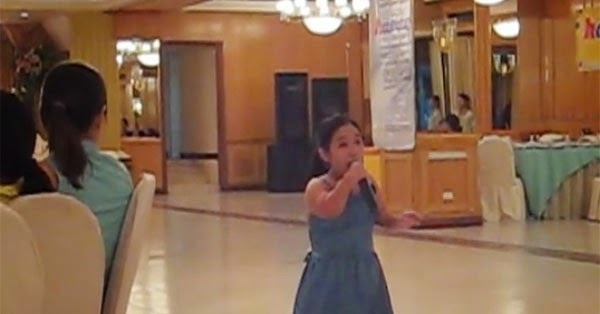 Rachel told Coolbuster.net that her inspiration in singing is Kapamilya star Sarah Geronimo. The resort cashier dreams of meeting the singer-actress in person someday.